When You’re Hiding For Your Life, What Do You Live For? Abbi has the gift of dreams. But her uncanny ability to see glimpses of the future has no apparent purpose or meaning until a dream leads her to a man on the brink of despair and destruction. Cameron is a man without a name and without a country, framed for a crime he didn’t commit. Long ago forced into exile and believed dead, the passing of years have defaced him of all hope. The country of Horstberg suffers beneath the weight of tyranny, and only Cameron holds the secret that could see her ruler undone and restore the people to peace and prosperity. While revolution brews and whispers of treason threaten all that is dear to Abbi, she remains unaware of her own ability to answer a nation’s prayers. 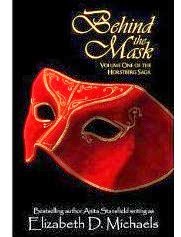 Trusting only her heart and the power of her dreams, Abbi gives all that she has to lead Cameron back into a civilized world, where love is real and freedom comes only in facing what hides behind the mask. Please note that this book contains the entire Volume One of the Horstberg Saga, over 1,080 manuscript pages! Ebook has a fully linked table of contents. [From a 5-star review]: “5 stars for an amazing reading experience! Another "can't put it down" title! I loved the characters, the storyline, the way this novel grabbed me and wouldn't let go- my mind was so involved in the story's happenings that I even dreamt about them! I love the way the author used such decorum and respect with the intimate interaction between the main characters. Even though it's not a religious novel per se, nothing was inappropriate or offensive.